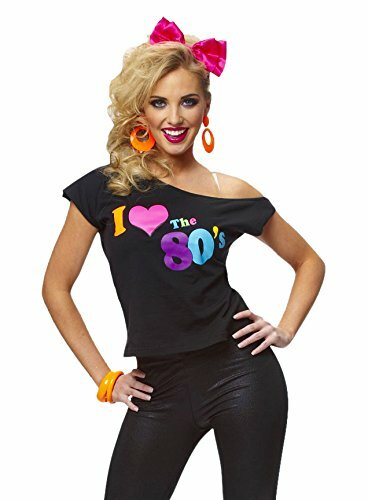 For this post, I'm going to show you how to quickly put together two "I Love The 80s" costumes, the first of which this lovely lady is wearing above. 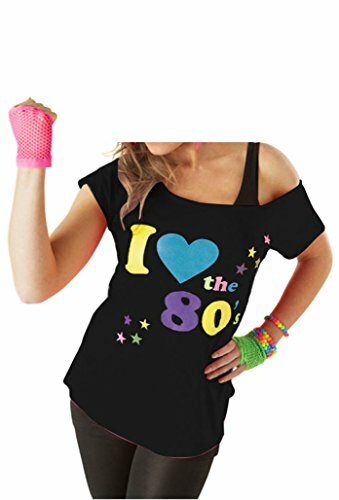 Firstly, you can buy that off-the-shoulder T-shirt Amazon (see the links above). 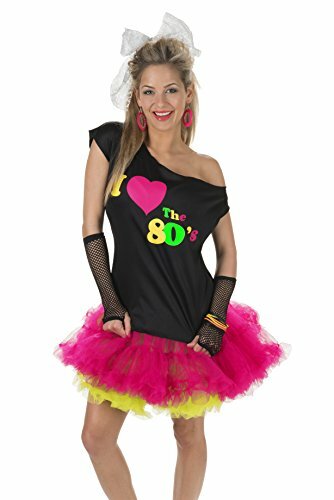 However, I can also recommend trying ebay where there are dozens of top suppliers selling a variety of off-shoulder 80s Tees. 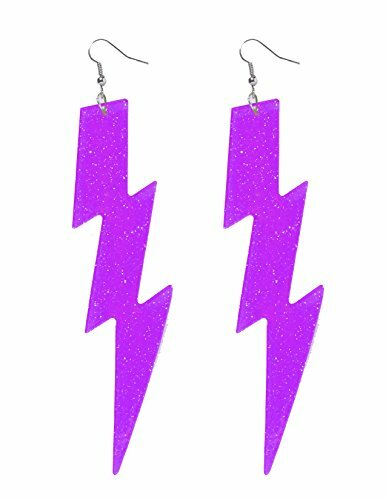 Please note that I have not linked directly to individual products on ebay as they are only sold for a limited period. 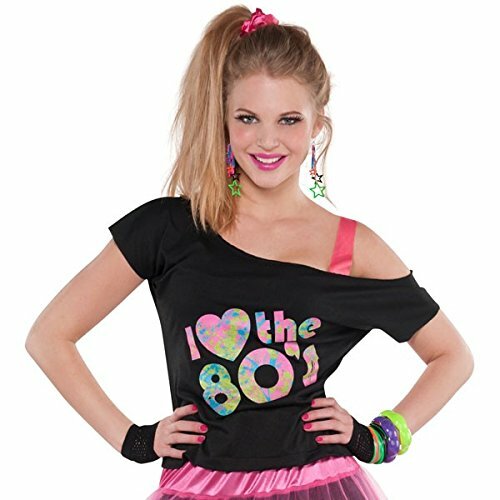 However, I have linked to a whole section featuring off-shoulder "I love the 80s" shirts and, hopefully, the design above should appear within those pages. 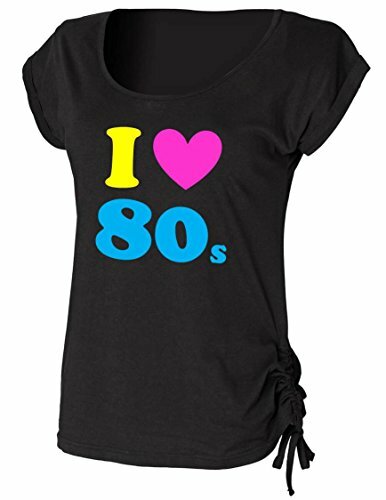 Below are tees I found at Amazon.com and .co.uk. This post caters for both British and American visitors, so please double check the links so you're not taken to the wrong store! ebay links are generic and will work in the UK, U.S., Australia and Canada. 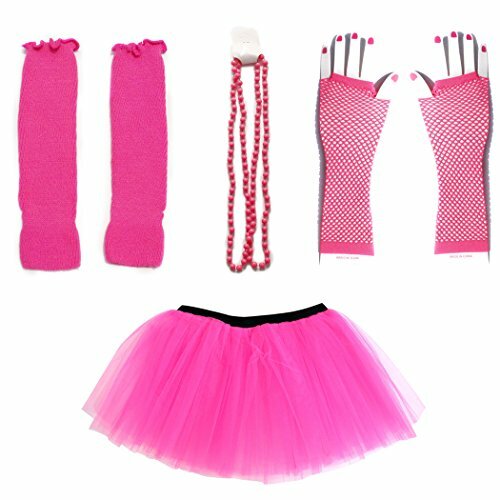 Creating your own costume is a lot of fun and, as you will see, you can choose from a wide variety of accessories. However, for those of you looking for a quick and easy solution, then you'll be pleased to know that there are ready-made options available. 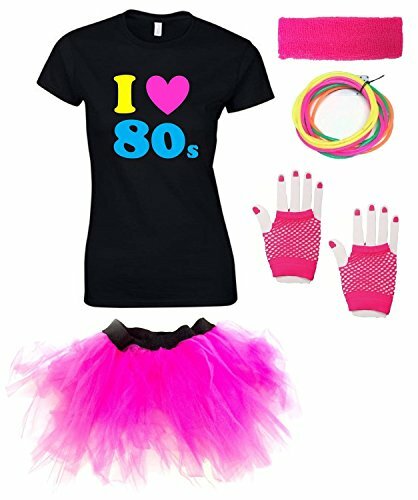 The following items are available at Amazon UK, with the first two being the most popular and best-rated. 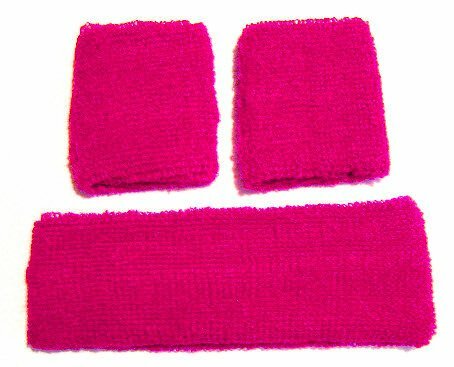 We sell many of these through links on this website. 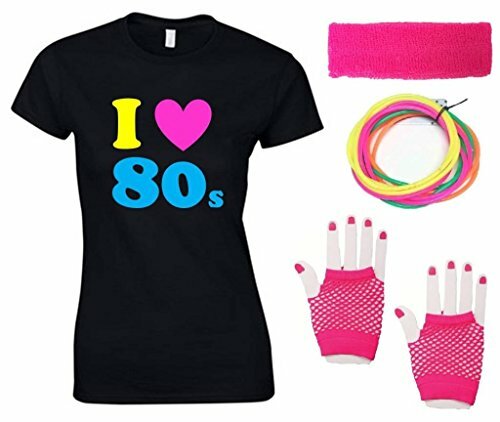 Sadly, none of these items are available at the US store, as yet. 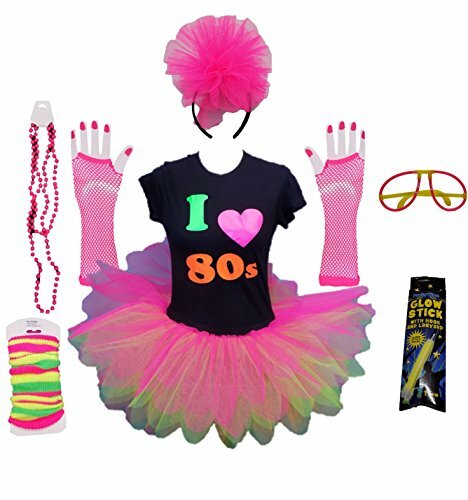 I have also checked ebay and other costume stores, but to no avail. However, there are plenty of T-shirts and accessories available, so scroll down for details of these. 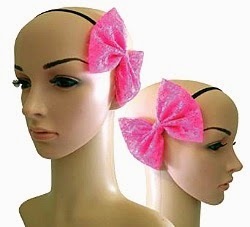 This pink hair bow is attached to on an easy-to-wear, elasticated headband, and can be placed onto a wig or your own hair. 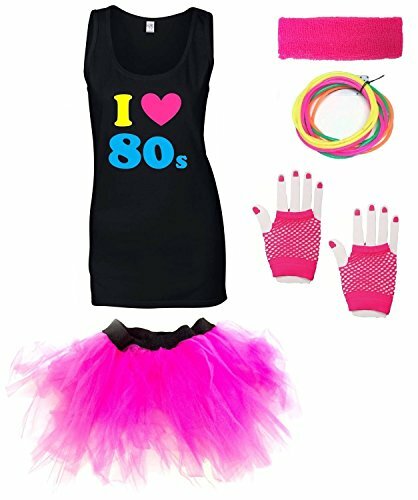 It's perfect for adding the finishing touch to many 80s costumes. 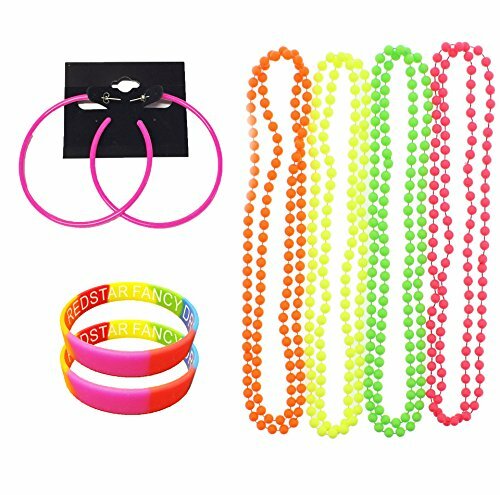 As you can see, earrings and bangles are also essential for creating a more authentic and complete eighties look, and don't be afraid to use clashing colours which were all the rage at the time. 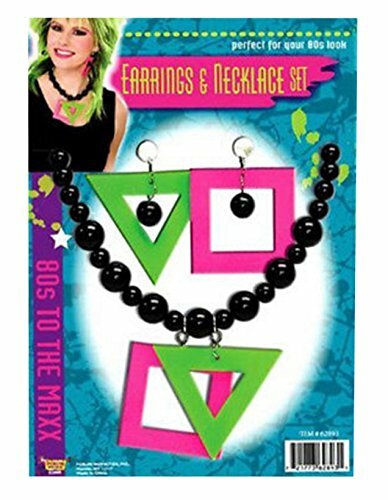 There are many 80s style earrings available in different shapes and colours including teardrop, hoop, heart-shaped and geometric. 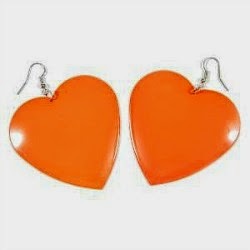 One of my favourite designs is the heartdrop shape above. The keen-eyed amongst you will have noticed that the model is also wearing bangles, too. 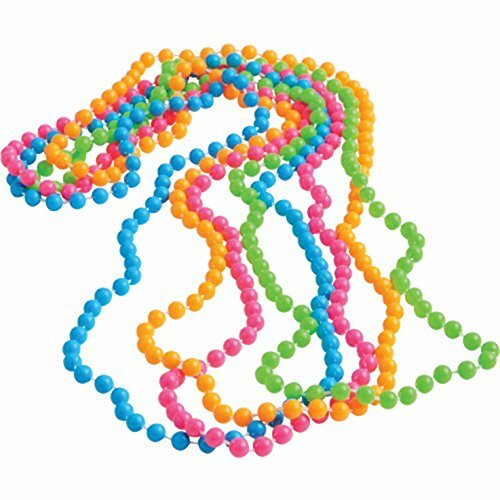 This set of beaded bracelets in four different colours is a good buy and just perfect for adding to an 80s costume. 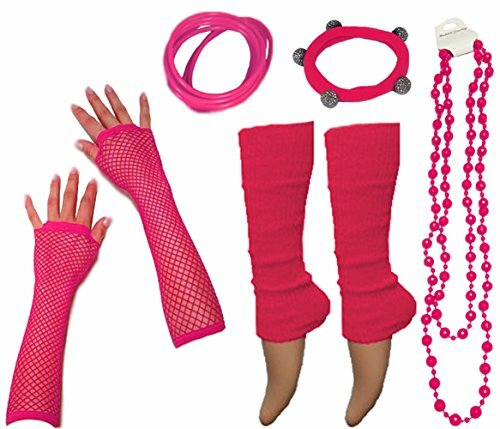 These accessory sets are very convenient for adding the finishing touch to your costume. 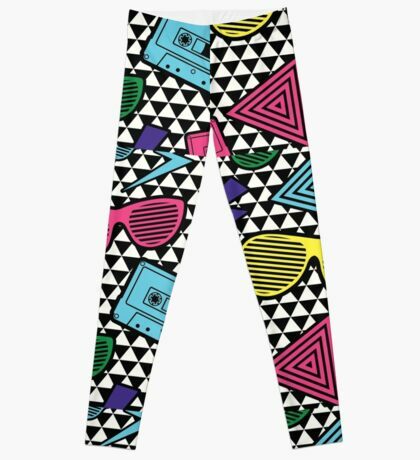 You could just wear some plain leggings that you already own and add colourful accessories such as leg warmers and even a tutu or ra-ra skirt. 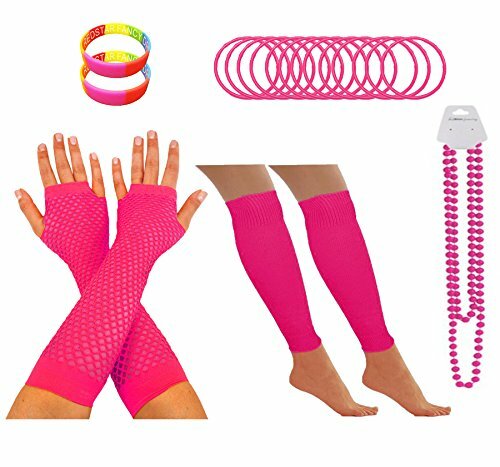 Here are some examples of the most popular items at both store. 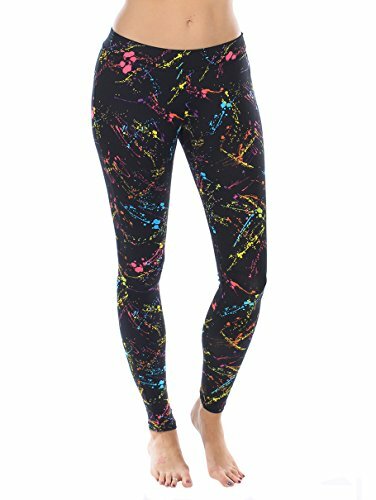 Shiny (Wet-look), cropped (capri), paint splatter, pastel, neon and geometric shapes such as triangles are perfectly 80s. 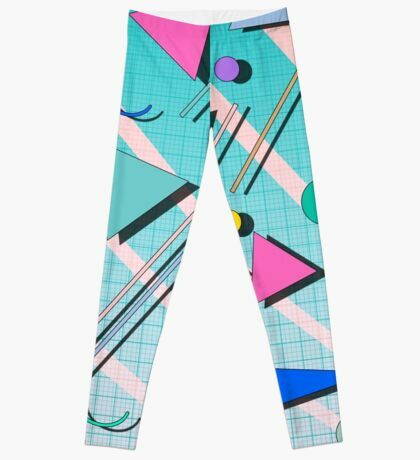 View all 80s Leggings at Redbubble.com this link will display some non-80s leggings, but browse through them and you'll discover some exceptional designs. 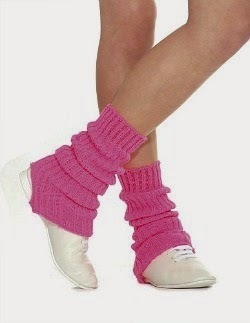 Leg warmers are the key to giving your outfit a real 80s feel. 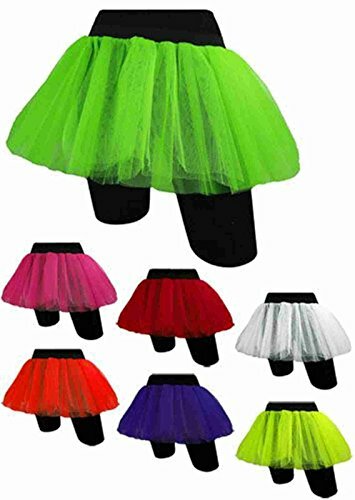 There are many pages of styles to choose from at Amazon and your biggest headache will be deciding which ones to choose. 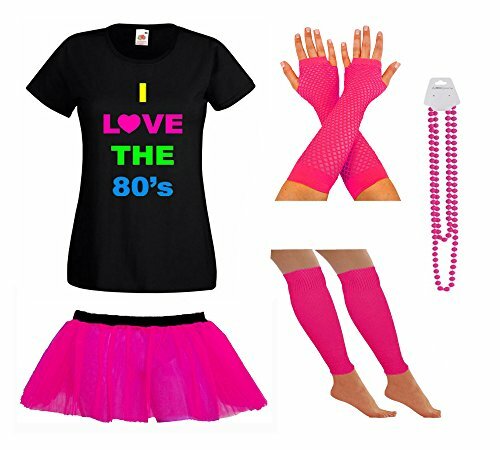 For an easy option go with pastel or neon pink. Stripes were also a popular choice back in the day. 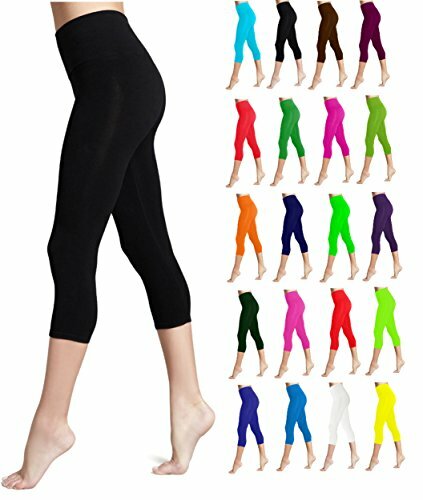 For a dance style (as worn in the movies Fame and Flashdance) stirrup leg wamers (as shown above and available in many colours) are an ideal choice. 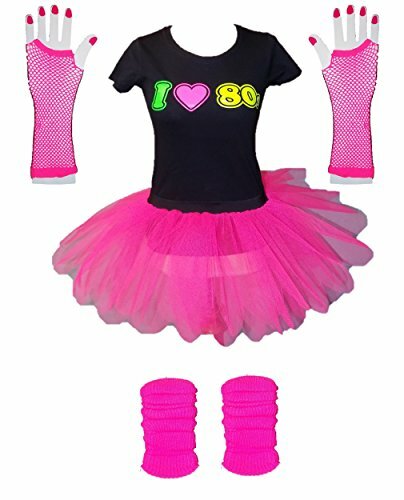 Here is an alternative to the first costume we have created. 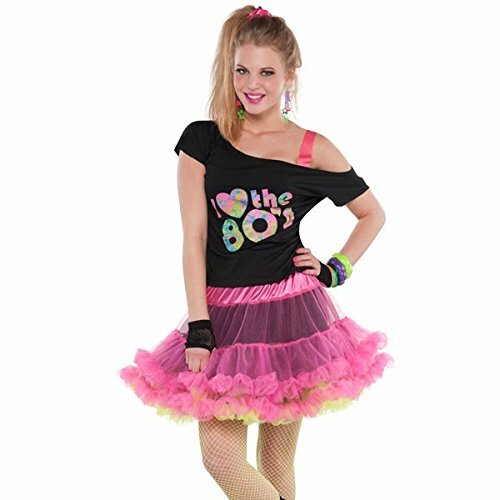 Simply replace the leggings with a multi-tiered tutu skirt, or wear it over your leggings. 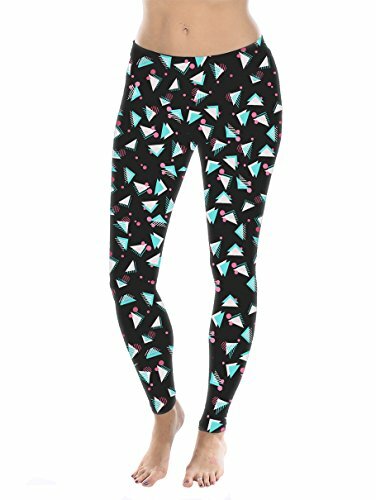 You can create a Madonna style by wearing cropped leggings with lace edging. 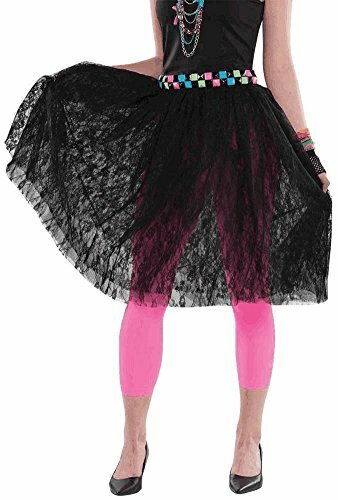 By far, the biggest range of 80s skirts can be found at Amazon. The UK store has a particularly decent range. 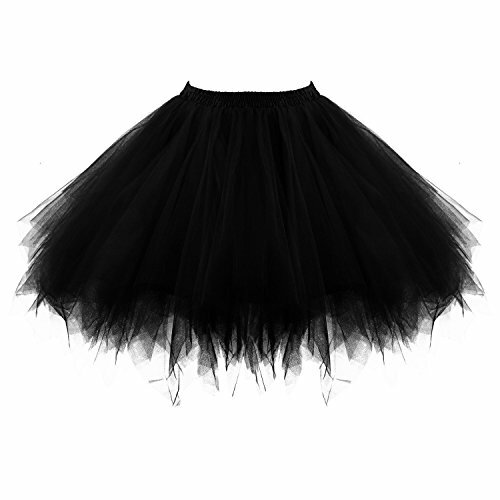 Please be aware that many of these skirts are quite see-through and designed to be worn with tights or leggings. 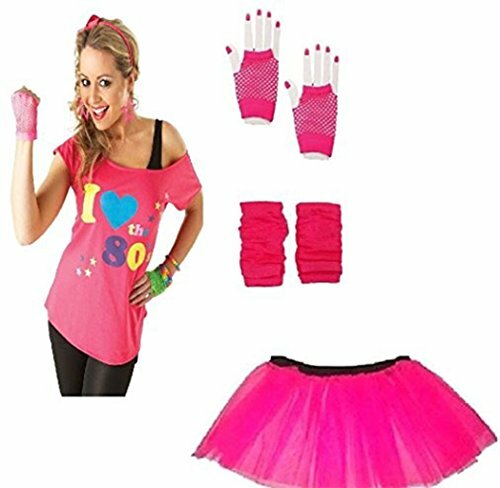 You can also see a wide range of 80s fancy dress costume ideas for the UK here at SimplyEighties.com. 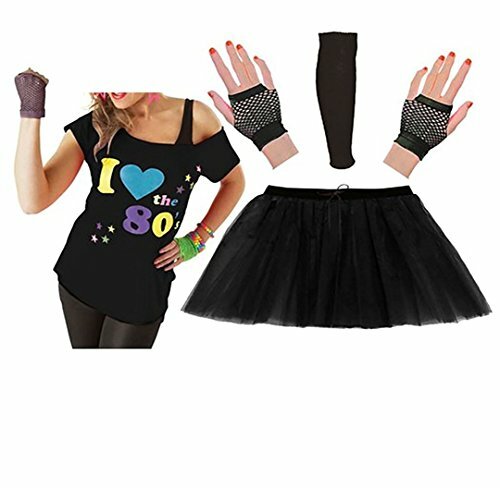 Also check out the US Store on this website and also 80sFashion.Clothing for US costume ideas.